the need to protect an integrated sustainable infrastructure of diverse natural habitats and rural community life. The special qualities of the South Downs National Park, especially in the Binsted area, are regarded by many as too precious to sacrifice for a 5-12 minute average journey time improvement. 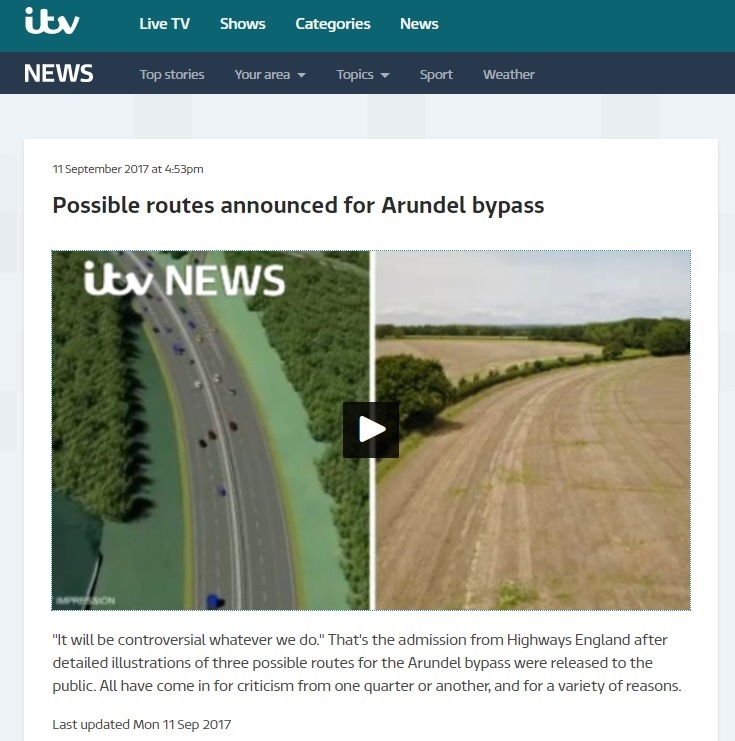 20.11.17 The Guardian: "Destructive Arundel Bypass would be a national scandal"
13.11.17 The Guardian: Article by Patrick Barkham, "Why tolerate Tarmac-geddon in the countryside?" 12.10.17 Littlehampton Gazette letter: Do we need an Arundel Bypass? 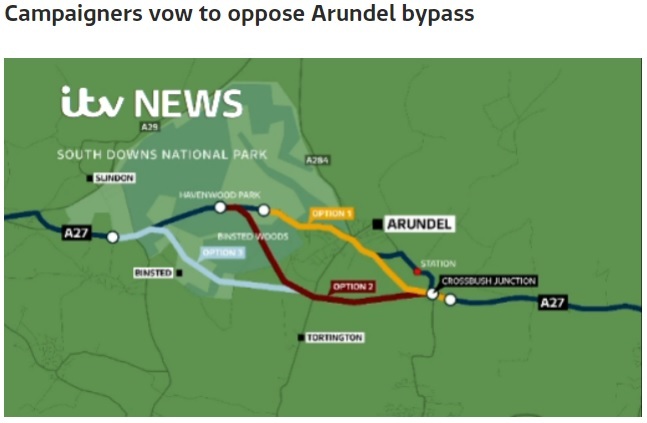 5.10.17 CPRE Press Statement: The Arundel Bypass – a ‘silver bullet’ to tackle congestion or an expensive way to destroy iconic countryside? 15.9.17 Littlehampton Gazette: Could tunnels plan solve traffic woes? 10.9.17 The Argus: "More roads just mean more cars"
23.08.17 CPRE Sussex Press Release: "Arundel Bypass Options based on Outdated Thinking"
13.8.17 Littlehampton Gazette article: "Lively debate over bypass in town council meeting"
25.7.17 Littlehampton Gazette article: "Punnets of Fun in Binsted raises Thousands for Charity" with news on the Bypass threat. Similar article in Bognor Regis Observer. 21.6.2017 Littlehampton Gazette article: "A walk in the woods to protest possible bypass"
23.3.17 Littlehampton Gazette Letter: "Issues with route claims"
22.3.17 BBC News: "England road schemes 'could be scrapped' over value for money"
14.03.17 Littlehampton Gazette: A27 bypass to 'sever' ancient woodlands from Arundel? 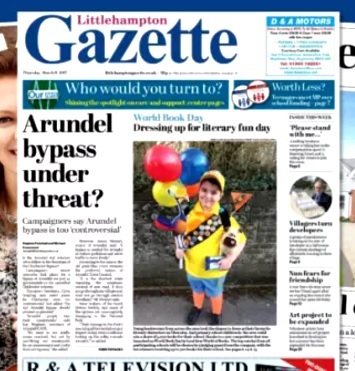 08.03.17 Littlehampton Gazette: Arundel Bypass under threat after sister plans scrapped? 08.03.17 Bognor Regis Observer: Arundel Bypass under threat after sister plans scrapped?